johnsons honda beaconsfield call us today! johnsons honda oxford call us today! 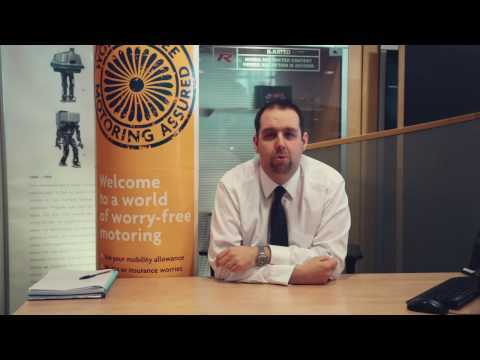 johnsons honda milton keynes call us today! johnsons honda slough call us today! Having started in the motor industry in 1980, I have spent many years undergoing training and honing my sales ability as a sales executive. With success came the move into management. The need to motivate and coach others has become an everyday part of my duties and this has ensured an exceptional level of customer satisfaction and buying experience. Working with the sales people, guiding and helping them set goals and meet objectives ensures my continued success. 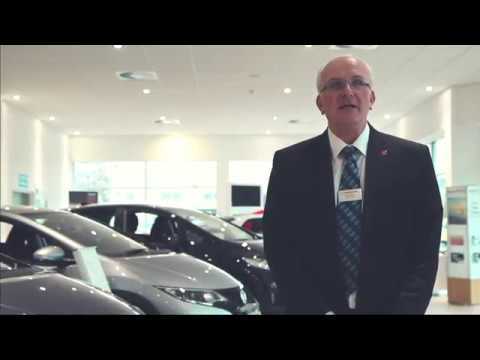 With over 36 years automotive industry experience and the last 5 years with Honda, I encourage an environment that is warm, friendly and professional and consistent with the expectations of our customers, Honda UK and Johnsons Cars. I started with Johnsons Honda in September 2014, with a background of Vauxhall and Hyundai I was pleasantly surprised how well equipped Honda cars are. I’m delighted to be associated with a brand that constantly wins awards for its innovation and reliability. 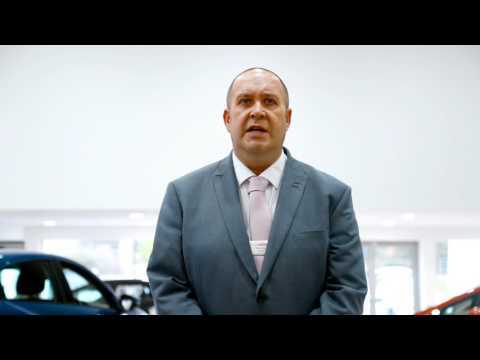 We have many exciting models in our range and you can always look forward to a warm reception from myself here at Johnson’s Honda Beaconsfield. I've been with Johnsons for over 8 years, running the Service department at Slough, however small or large your enquiry may be you will always be assured of myself and the teams commitment to offer first class customer service. 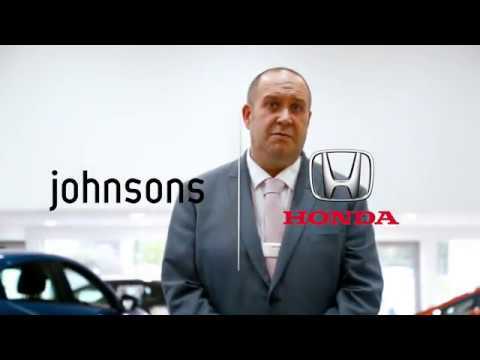 Welcome to Johnsons Honda Oxford, I recently joined the Johnsons group in August 2016, I have over 40 years motor trade experience, and previous to joining Johnsons , 7 years as General manager at a Honda Dealer. Johnsons is a family run business with great family Values which my team strive to deliver to all our customers. My main role is to make sure our customers are always extremely satisfied with the welcome they receive from my team and the professional experience you feel when coming into our dealership. The goal along with my experienced team is to create a friendly environment and build strong lasting relationships with our customers. I have worked with Johnsons Honda now for the past 13 years. Initially starting with Johnsons as a Sales Executive and working my way through to my current position of Retail Manager. 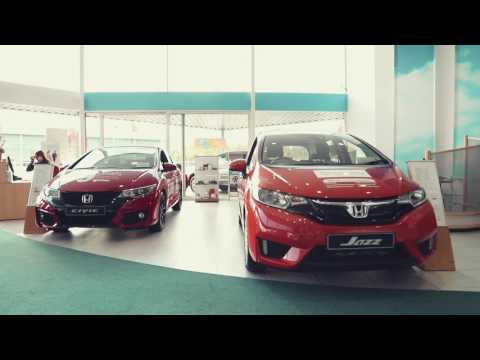 Working for a brand like Honda and Johnsons as a group has helped me develop as they both strive for the best and by putting their customers first. I am proud to work in this friendly and helpful environment, so why not visit us and experience this for yourself. Coming from a Honda driving family, I chose to start my career with Honda as it is a fantastic brand which matches my motoring values. I take great delight in helping customers find the car that best suits their needs with the confidence that they will experience exceptional engineering and safety in their Honda. 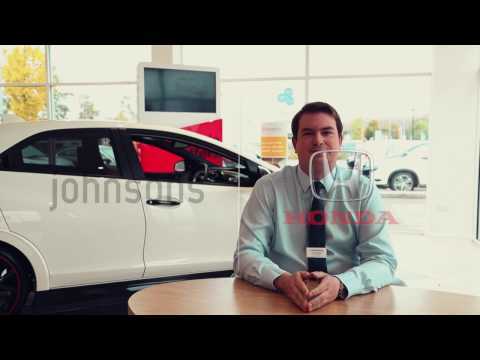 My objective is to make each customer’s individual experience smooth and enjoyable so they drive away feeling confident in and valued by Johnsons Honda Oxford. I started working for Johnsons Honda in 2006 and since then have done many roles in the aftersales side of the business. First starting in parts where I was parts supervisor then to move on to service advisor and currently service manager. I have a great aftersales team here, I aimed to improve the business by working on customer satisfaction and loyalty, with total engagement by the team to “thinking customer first”. We look forward to going from strength to strength as we demonstrate to our customer base our ongoing improvement in levels of customer service and satisfaction. 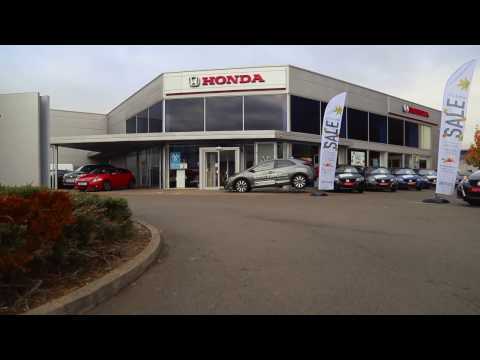 Welcome to Johnsons Honda Milton Keynes, I joined Johnsons in December 2014, having had over 30 years experience working for both PLC’s and privately owned businesses. What I instantly found with Johnsons is a rarity amongst many other motor dealerships, that is, not only are we unwieldy like a large plc, we are also not limited like many small family run businesses. Johnsons are a privately run business with many great values, one of which is to build lasting relationships with our employees, our partners but more importantly our customers. I expect high levels of customer satisfaction, professionalism and integrity, all of which create a customer experience which is second to none. This helps create a friendly enviroment and workplace where the customer comes first. I have been part of the Johnsons team for over 12 years. 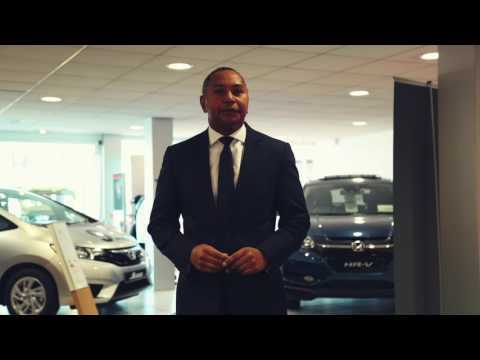 I began my career at Johnsons Honda Milton Keynes as a sales executive and have been the dealerships Retail Manager for over three years. I thoroughly enjoy my time with Johnsons and with the Honda brand. It is nice to be able to sell a product that is as innovative, exciting and forward thinking. I am lucky to have a great sales team here who are dedicated to providing the best possible service to our customers. 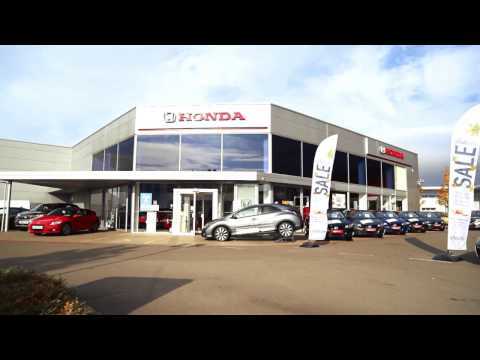 Since joining Johnsons Honda in June 2016 I have been very impressed with the quality and engineering excellence of the brand , it now comes as no surprise to me why Honda have such a loyal client base. From the ever popular Jazz to the CR-V the level of specification represent great value for money along with a superb driving experience. My car mad 5 year old son now says that Honda are the best cars ever .... who am I to disagree. I take enormous pleasure assisting our customers with the right choice of Honda to fit their needs and requirements. 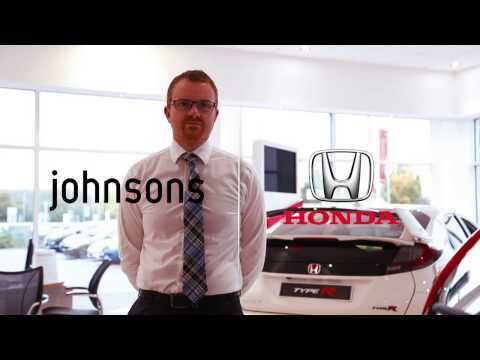 Welcome to Johnsons Honda Milton Keynes Service Department, I am the service manager and have been with Johnsons since January 2001 . I started my working life as a apprentice technician way back in 1973 after leaving school and have progressed through the normal route of technician , service advisor and then as a service manager. I believe in delivering excellent customer service and at Johnsons Honda Milton Keynes I feel we have achieve this our very experienced and stable team. The service team here at Milton Keynes have over 150 years of motor trade experience and with over 100 of those years actually here in this dealership. I have been with the Slough branch since 2011, started off as a trainee and developed my role into a career.. Now a Retail Manager making sure we are meeting customer needs to the highest standards. I am in my 7th year working at Johnsons Honda, I thoroughly enjoy working for a business with aligned values to myself and the Honda Brand, customers are at the forefront of our business and I pride myself on treating customers how I expect to be treated myself and endeavour to install this across the business. 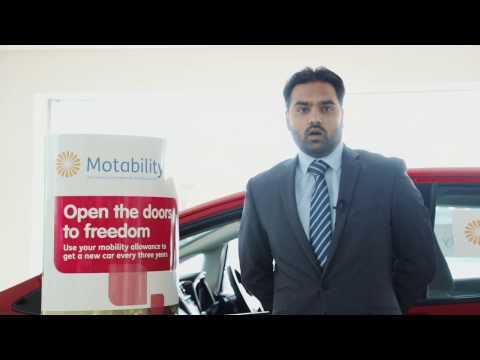 We pride ourselves in offering the very best deals in Motability. At Johnson’s Honda we provide Motability packages that give a wide range of options and flexibility that ease the process of taking on a Motability vehicle from insurance, service and maintenance to numerous vehicle adaptations. 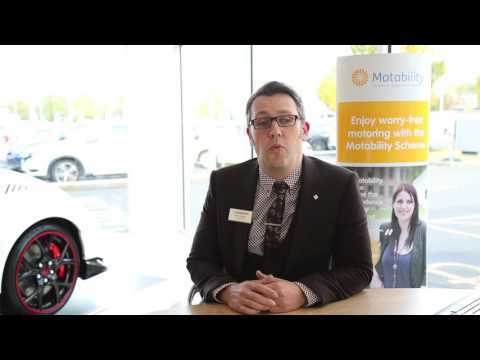 If your interested in learning more about the Motability scheme please drop in at your earliest convenience and I will be delighted to speak with you.